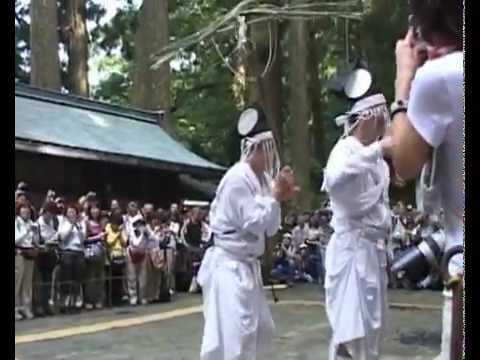 Nachi no Dengaku is a Japanese folk performing art with a deep connection to Kumano Sanzan, a sacred site in Nachisanku. 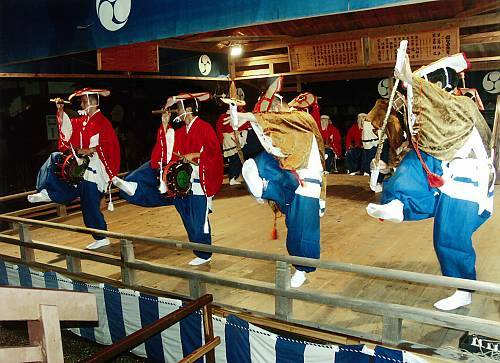 It is performed on a stage inside Kumano Nachi Shrine during the annual Nachi Fire Festival, celebrated on 14 July. 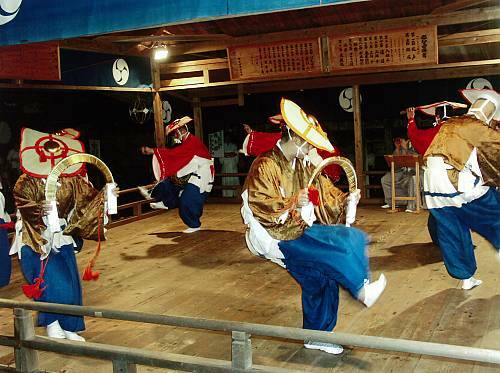 It is a key component of the festival and takes the form of ritual dancing to flute music and drums for an abundant harvest of rice crops. 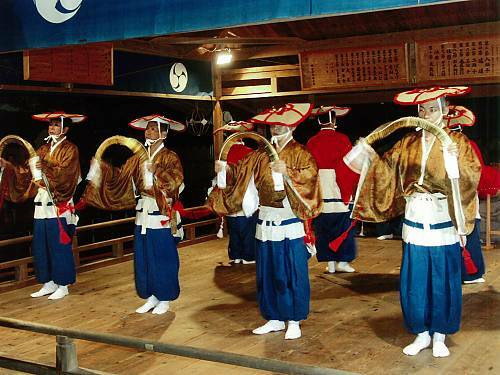 Nachi no Dengaku is performed by one flute player, four drummers with drums tied around their waists, four players of Binzasara, a musical string instrument, and two others. 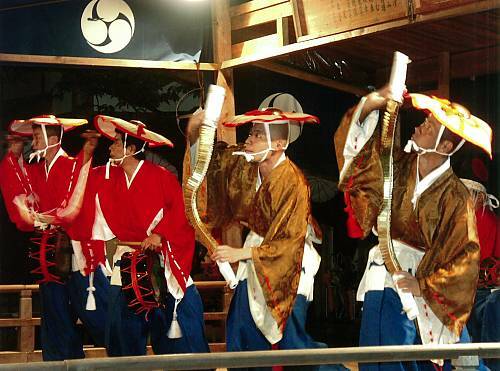 Eight to ten performers dance to the music in a variety of formations. 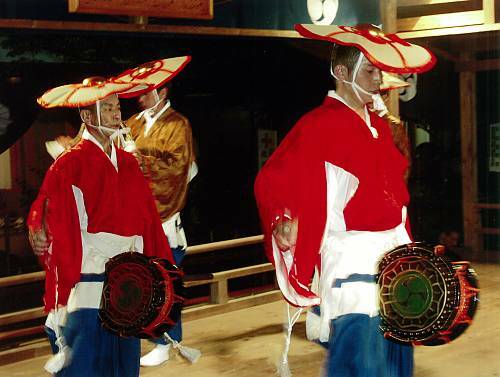 There are 22 repertoires, each performed in 45 minutes. 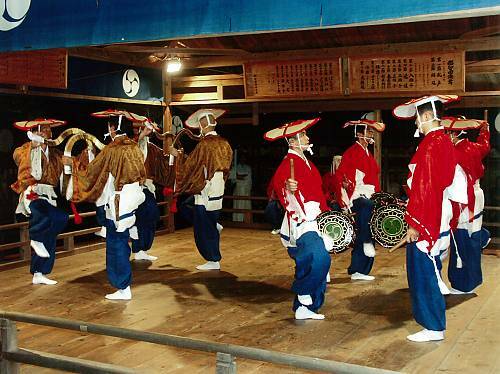 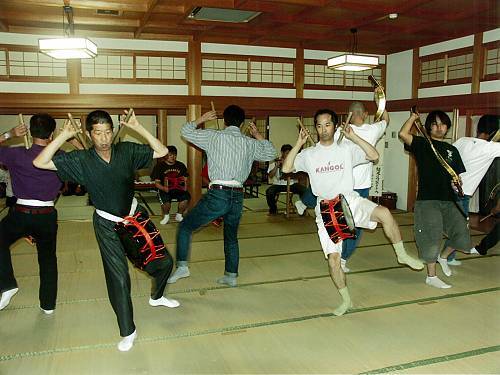 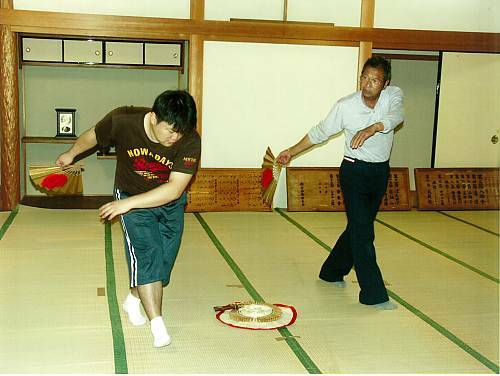 The dance is currently performed and transmitted by the Association for the Preservation of Nachi Dengaku, consisting of local residents of Nachisanku. 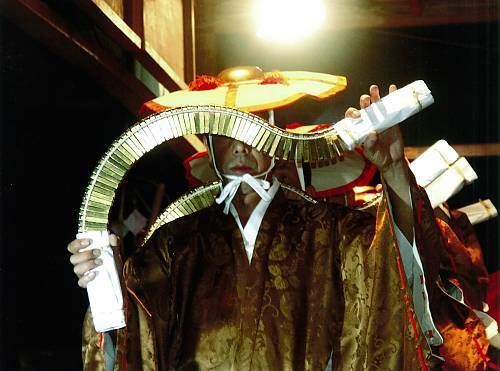 Nachi no Dengaku is transmitted against a backdrop of a belief in Kumano Sanzan and its shrine. 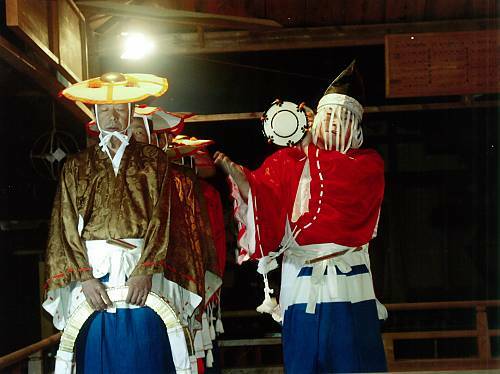 The local people and transmitters respect and worship the shrine as a source of mental and spiritual comfort.